If there’s been something that’s never really worked all that well since the introduction of the smartphone, it’s how they integrate with your car. Perhaps this shouldn’t be a surprise as car manufacturers work many years in advance and they want to control as much of how you interact with their vehicles as they can. However, customers have been crying out for them to add support for Android Auto and CarPlay, the systems written by Google and Apple respectively to enable their mobile devices to communicate with vehicles. Gradually support has improved and most manufacturers now offer both Android and Apple variants. Some (I’m looking at you BMW) are trying to charge their customers an annual fee to access the service (do what?) but most simply include it as part of the package. And it does make a difference! Yes, on older cars without Android Auto or CarPlay, you can still plug in your phone via USB or WiFi and see your contacts and sometimes music on the in-car display, however the implementation has been pretty unconvincing. What Android Auto and Apple CarPlay give you is access to the apps you might like to use on your phone while you’re in your car using a familiar interface. They also support Google Assistant and Siri making the whole experience even better. Say what you like about Siri, but when it comes to natural language queries, it’s generally far better than Alexa and therefore much better for when you’re on the move. Google Assistant is also no slouch in this area and is the pick of the bunch for this kind of task. In the video accompanying this post, I take a brief look at Apple’s CarPlay and discuss it’s merits (and those of Android Auto, although not being an Android user I can’t demonstrate it in the film). I’ve only just started using CarPlay so if you have any questions please post them to my YouTube channel (or below) and I’ll make a follow up film. Thanks for watching, and don’t forget to hit that like button! This entry was posted in Computing, Hardware, Motor, Software, Technology and tagged Android Auto, apple, CarPlay, Honda, iOS, Motor on February 23, 2019 by AJClayton. Here’s a quick tip for anyone with a Synology NAS drive who uses it with a Mac running OS X El Capitan (although this should work under Yosemite and perhaps even Mavericks). When listing directories over the network there can, for particularly large folders, be a noticeable delay before the directory contents is displayed on screen. Thankfully, a delay like this is pretty rare however this tip will speed up network directory listings for folders of all sizes – you’ll just notice it more if the folder in question contains loads of files. Reboot your machine and then marvel at the increased directory listing speed! This simply prevents the hidden file .DS_store being written to network devices and this speeds things up monumentally! Note that this is a user level setting, so if you have multiple accounts set up on your machine then you’ll need to run it for each of them. This entry was posted in Computing, Software, Technology on January 22, 2016 by AJClayton. One of the new features of the iPhone 6s is 3D Touch, a new technology that enables the device to not only detect traditional swipes and taps, but also presses into the screen. The iPhone 6s can not only detect a forceful push on the display – it can also determine how hard you’re pushing it. That’s why Apple have called it 3D Touch – it takes interaction with our mobile devices quite literally into a new dimension. The best way to demonstrate this new innovation is to show it in action, so please watch my latest video (above) to see it in action! When I first heard about 3D Touch I thought it might be a bit of a gimmick, however I’m already finding that I use it every day – it really is rather useful. This is only the beginning, as developers come up with ingenious ways to act on pushes “into” the screen we’ll no doubt begin to see all sorts of interesting new uses for this technology. If you liked it, please give the video a thumbs up on YouTube and if you enjoyed the content, please subscribe to my channel where you can find lots more! This entry was posted in Computing, Hardware, Mobile phones, Software, Technology on October 24, 2015 by AJClayton. 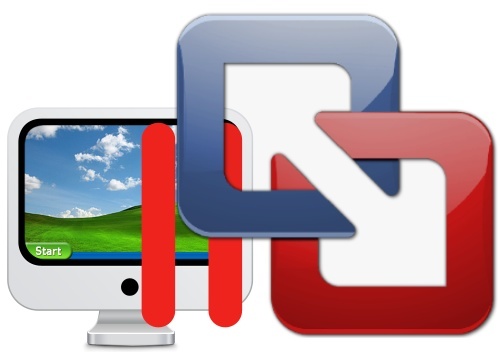 Why I switched from Parallels Desktop to VMWare Fusion… and back again! Despite being a long time Mac user (it’s the platform I’ve used the longest ever since I got my first computer which, for the record, was a ZX-81) I find that, on occasion, I need access to Windows. 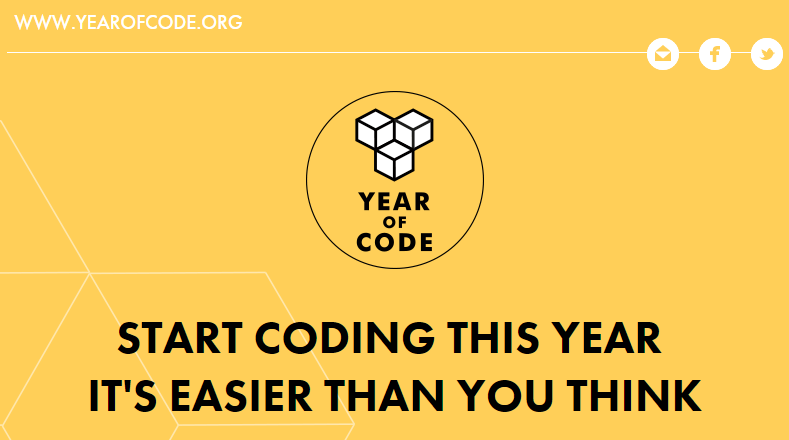 The main reason for this is that I’m a developer. I need to make sure that web sites I create work on Windows. I also develop dedicated apps for mobiles and tablets so although I can do this exclusively on OS X there may come a time in the future when I need Windows for something app related. There are two ways of running Windows on a Mac. One is to use Apple’s own BootCamp firmware that allows you to dual boot into either system. It means your Windows installation will run as quickly as possible because you’re effectively using a PC. Frightening thought, though that is. The alternative route (and the one I’ve always gone for) is to run a virtual copy of Windows within OS X. That’s something that’s relatively painless to do since Mac’s have been Intel based and there are several options out there to choose from. One free option is Virtual Box, however most people go for one of the two paid software solutions out there – either VM Fusion or Parallels Desktop. Since it was first released, I’ve always used Parallels Desktop. I’ve found it to be, on the whole, a reliable piece of software and has enabled me to run Windows on my Mac for some years now. I’ve been on their beta program for a long time now and always give the latest version a go, feeding back my experiences to the dev team. That’s where (this time) things started to go wrong! I ran Parallels Desktop 11 beta and found it didn’t play at all happily with Windows 10. I reported multiple issues to Parallels including video driver problems, network drop outs and what is most likely some kind of kernel panic where the VM would die horribly for no apparent reason. No fixes were supplied for these issues during the beta period and Parallels Desktop 11 launched without any of them being resolved so I switched back to Parallels Desktop 10 only to find that Windows 10 didn’t play well on that version either. I’ve since found that running SQL Server Management Studio 2012 appears to be the catalyst for some of these issues and so I’m sticking to 2008 for now. 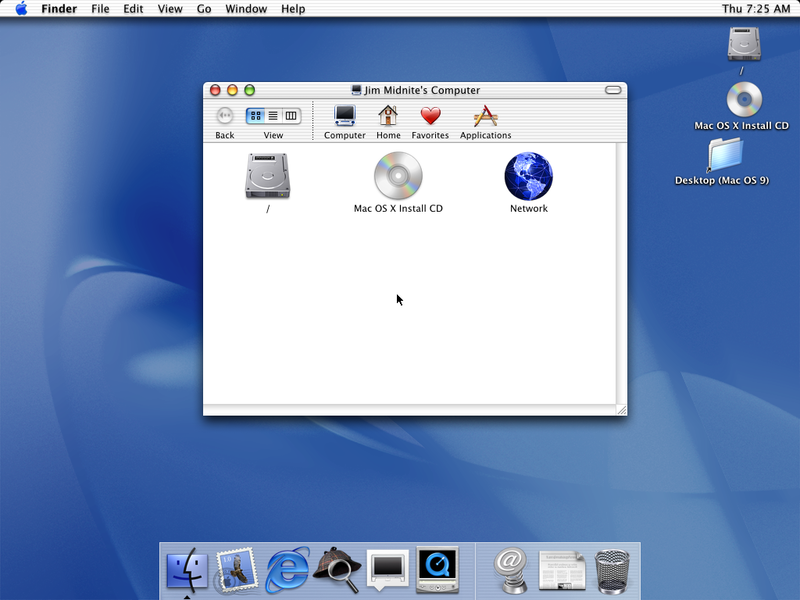 A rival to Parallels Desktop is VMWare Fusion. VMWare have some considerable experience in virtualisation technologies so I decided to give their software a go and downloaded a trial of the latest version. I spent most of the trial period with VMWare trying to get Windows 10 activation to work. Understandably as I was running it under a new VM, Windows 10 thought I’d changed my computer so wanted to re-activate. However, what Microsoft don’t tell you is that this can’t be done. The only way is to go back to Windows 8.1, reactivate that and then convert to Windows 10 again. Problem was, I’d removed my Windows 8.1 backup from within Windows 10 to save space when I copied the VM across from Parallels to VMWare. So I had to re-install Windows 8 (I have a licence so no problems there) and then update to 8.1 and from there update to to version 10. Meanwhile my VMWare trial was about to run out so I bought a Fusion licence (with a helpful discount for being a Parallels customer). I quickly realised, however, that long term use of Windows 10 under VMWare Fusion 8 was going to be even more problematic than my experiences under Parallels. OK, so the software actually ran without bombing out, however it was very slow in operation, mouse movement (despite being on maximum) was very slow indeed (I had to lift and replace the mouse several times to move across the display). Most annoying of all, the accuracy of the mouse pointer was terrible – I’d end up clicking on the wrong thing and had very real problems highlighting things. To be fair to VMWare, one of their operators connected to my machine via TeamViewer and tried his best to sort things out. For most of the 45 minutes he was connected he tried doing things that I’d already tried by following recommendations in their knowledge base. At least he was being thorough. He eventually gave up and told me last Friday that he’d speak to some techies and ring me back on Monday. So with VMWare Fusion increasing my stress levels, I decided to have another crack at Parallels Desktop. I thought I’d try going from a Windows 8.1 backup of my Parallels virtual machine and then install 10 and see what happened. That worked, and was OK for a day before I installed SQL Server Management Studio 2012 and discovered that that seems to be at the route of at least some of the problems. So I’ve decided to stay on Parallels after all. I’ve wasted 30 quid on a VMWare licence I won’t use now, but hey ho. VMWare isn’t as good – and that’s official! One other thing to mention. When I was talking on the phone to the VMWare engineer, I pointed out that the display performance wasn’t very good and had been much faster under Parallels Desktop. He said that it is a known “feature” of OpenGL in VMWare that it’s graphical performance is not as good as Parallels Desktop. He actually said that. Which one should you go for? Goodness only knows, but if you’re like me and pushing lots of pixels around the screen (I have a 4K retina display) then Parallels is probably your best bet, but as always with these things YMMV. UPDATE 16/9: VMWare phoned me back today. I have to say they’ve tried to be helpful and to be fair to them they say that they’ve had no other reports like this under Fusion 8. The engineer said they tried on a retina iMac, a MacBook Pro 15″ and a Mac Pro with a Dell monitor and all was fine on there. It’s clearly something to do with my set up but what that could be is baffling both them and me. I’ll stick to Parallels and try Fusion again once it’s had a few bug fix updates – you never know! A Manager at VMWare wanted to speak to me to know the details (he’s not happy that they couldn’t fix the problem). He’s going to monitor and I’ve asked him to let me know when Fusion is updated so I can try again. It’ll be interesting to see if that happens. Watch this space! 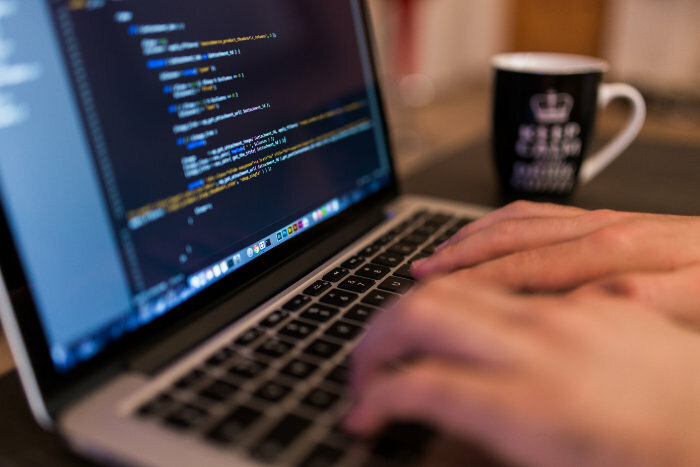 This entry was posted in Computing, Software, Technology on September 15, 2015 by AJClayton. On Monday evening at 6pm (UK time, 10am West Coast time), Apple’s Tim Cook will take to the stage at the Moscone Center in San Francisco to unveil the next versions of both the Mac’s OS X and the iDevice’s iOS. It’s time for the annual World Wide Developer’s Conference (WWDC) keynote speech. For the first time in quite a few years, rumour has it that OS X (Apple dropped the Mac from the OS’s name) will garner much of the attention. It’s widely expected that the OS X 10.10, the eleventh version of Apple’s UNIX based operating system will receive the biggest change to its look since it first came out in 2001. This is likely to involve a flatter look and feel as the design influences that were revealed at last year’s WWDC start to permeate iOS’s older sibling. Perhaps more so than the change to iOS, the update to OS X’s look (if it happens) is going to be a more difficult one to convince the masses about. Certainly, if you look at OS X over the years it’s not been without significant changes. However, these changes have come gradually – almost so as we haven’t noticed. 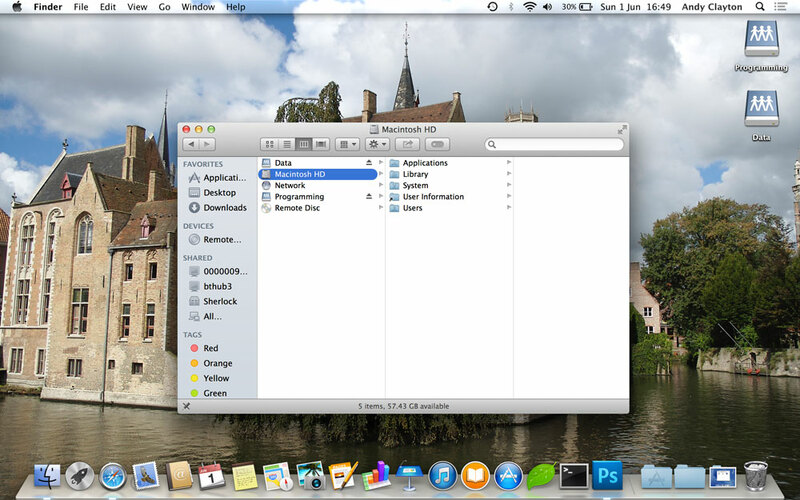 If you compare the Aqua interface in OS X 10.0 with the one we see in OS X 10.9 Mavericks then the difference is huge! For the pedantic amongst us, I put Cheetah in brackets because the naming convention was internal at the time and didn’t find its way to the public domain until Mac OS X 10.3 Panther. One of the biggest changes to OS X was the dock’s move from the flat look to a pseudo 3D appearance in Mac OS X 10.5 Leopard. I hated this to start of with and used a console hack to keep it looking like it’s flatter predecessor. It was a good few years before I decided to go with the flow and accept the 3D look. Ironically, on my MacBook Pro laptop I have the dock positioned on the left hand side and this uses a flatter appearance. I think this may hint at how the dock may look in OS X 10.10 when it’s unveiled tomorrow. Going full circle? I found a thread on MacRumors.com about the new version of OS X quite amusing. Page after page spoke about the both the numbering of the next version of the OS and also the name. Everyone on there seemed to have forgotten that an OS is nothing without features. Ah well. The name looks as if it might be OS X 10.10 Yosemite (as in the gun totting cartoon character who himself is named after a US National Park – which is really the influence for the name if, indeed that turns out to be what it is). Banners in the Moscone Center seem to suggest that this may be the name Apple go for this time continuing the California based names started with last year’s Mavericks. At the very least it’s a geography lesson for those of us elsewhere in the world. Not a particularly welcome one, but it may be useful at a quiz night some time. So what about those features? Apart from a flatter look (which I suspect may not be as drastic as some are suggesting it might be) I actually hope that there aren’t that many new features. I’ll explain. When Mac OS X 10.5 Leopard came out, it wasn’t the most stable Mac OS that had ever been launched, When Apple moved from a universal PowerPC/Intel OS to Intel only in Mac OS X 10.6 Snow Leopard they introduced no new features and instead concentrated on improving the stability of the software. The result? Arguably the best OS Apple has ever produced. And people still happily paid for the upgrade. I hope that this time, while some UI changes are almost inevitable, Apple put the breaks on and concentrate their efforts on honing the APIs and underlying components of the “world’s best operating system”. Let’s get back to the ethos that was “Snow Leopard”. There is one thing I’d like to see introduced in OS X 10.10, though, and that’s the ability to AirDrop between iDevices and Macs. That would be very welcome and save me having to email things to myself (which is still easier than using DropBox, say). This blog post will be out of date in about 29 hours when Tim Cook steps out on the stage for the keynote. Being a sad geek I’ll be watching the live stream and hoping for magic things. I love those keynotes! Can’t wait!! This entry was posted in Computing, Software on June 1, 2014 by AJClayton. Yesterday evening (UK time) Apple held their Autumn event which has traditionally (if you can call the last couple of years “tradition”) been where they unveil the latest iPad. The release of the iPad Air (for “Air” read iPad 5) is welcome. It certainly looks the part but although it’s much faster than all previous generations I’m going to stick with my 3rd generation iPad because it has the main feature I want, namely a retina display. I don’t play games on it so that extra speed isn’t something I crave. It was great to see the iPad Mini finally get a retina display. I think that makes it well worth buying if you’re in the market for a smaller tablet. Despite this being an iPad event (normally) this year’s Apple Autumn get together covered Macs too. The new version of Mac OS X, version 10.9 “Mavericks” named after something to do with surfing in California (which means nothing to anyone outside of the USA, but they were running out of cats…..) was released to the public. The really big news is that it’s being given away for free. More specifically, Apple have moved their desktop OS to work a bit more like iOS. If you have an iPhone or iPad that is capable of running the latest and greatest version of iOS then you can download it for nothing. That’s what Apple has now done to OS X. It makes no difference at all what version of the OS you’re currently using, if your Mac can run Mavericks then you can fire up the Mac App Store and download it for no cost. This is great news and makes lots of sense if you stop and think about it. Apple are clearly playing to their strengths here. They make money out of people buying Macs and from a user and security point of view it’s good for everyone if they keep their OS up to date. So they made it free removing the main hurdle (other than compatibility) that could stop someone from upgrading. After less than 24 hours, reportedly 7% of users have already made the switch. I can’t because my Mac won’t even run Mountain Lion (the previous version) so I’m stuck on OS X 10.7 Lion until I can get my hands on a hardware upgrade. Which moves us nicely on to the other bit of news from the event: The Mac Pro. For those who don’t know, Apple have been neglecting their Pro users for some time now. The Mac Pro last got a serious update over 3 years ago and hasn’t even been on sale in Europe since April because the current model doesn’t meed modern safety standards. In June 2012 Apple CEO Tim Cook replied to an angry Pro user whinging about lack of updates to the Mac Pro at that year’s World Wide Developer’s Conference (WWDC) saying that an update would be on the way “later next year ”. At WWDC 2013 the new model was unveiled. It’s a round “trash can” looking device that has no internal expansion but packs some serious processing power. At the time, it was reported as being available “later this year” and a brief page about the new device went up on the Apple web site. Yesterday at the Autumn event, Apple gave out more details of the new beast. We now have much more detailed specs, prices and a (still slightly vague) release date. The detailed specs show that the base model will include a quad core 3.7GHz Intel Xeon E5 processor, 12GB 1866MHz DDR3 RAM and dual AMD FirePro D300 cards with a total of 4GB VRAM. This will retail for £2,499 which is more than the old model’s base price but still less than many of us feared. There are configurable options in the new Mac Pro. You can specify a beefier processor, GPUs and more RAM but we have no prices against these options yet. The only price shown on the Apple Store at the moment is for the other, higher spec starting unit. This has a 3.5 GHz 6-core Intel Xeon E5 processor, 16GB 1866MHz DDR3 RAM and Dual AMD FirePro D500 cards with a total of 6GB of VRAM. This costs £3,299. Both units come with a 256GB PCIe-based flash storage device which will fly. If you think SSD is fast, it’s a tortoise compared to one of these babies. If you want to go the full hog, then you can specify right up to a 2.7GHz 12-core processor, 64GB RAM, two AMD FirePro D700s with a total 12GB GDDR5 VRAM and 1TB PCIe flash storage. That will be a serious bit of kit with a wallet busting price to match. Personally, the base model is fine for me, although I can see me opting for 512GB of PCIe storage. I have a 250GB hard drive in my Mac Pro 1,1 and it only has 23GB of free space with all my data on different drives – the 250GB unit only has the OS and software. So anyone thinking of buying a new Mac Pro better only get the base model if they’re really really sure that they can squeeze all they need on the boot volume into 256GB. Good luck with that if you decide to do it! As expected, the RAM and PCIe card are user accessible so can be updated and it’s good to see that the base model has a free RAM slot so if the 12GB that it comes with isn’t enough then this can be boosted to 16GB without having to pay the Apple “memory tax”. Like many people watching the live stream of the event yesterday, I was really disappointed that the release date for the new Mac Pro is “December”. We don’t know when in December it will be but just the fact that Phil Schiller said “December” makes me think it’ll be later in the month rather than sooner. My current Mac Pro is just about hanging on so it really can’t come soon enough for me. My suspicions about the release date are that just under a year ago Apple brought out a new iMac and quickly ran out of stock leaving some people waiting for their new computer for many weeks. I feel Apple will want to avoid that with the Mac Pro, especially as some of us have been waiting many many MANY months for this new hardware to arrive. I shudder to think what would happen if someone tried to order one on launch to be shown a “4 week” or longer expected delivery time. Finally, my overall feeling (once I got over the “December” bomb shell) is that the price point is fine, the specs look good and it really won’t be all that long until I can get my hands on one of these so I’m taking positives from the whole thing. I just hope that it comes out on December 1st. Or they change their mind and release it earlier than that. This entry was posted in Computing, Hardware, Software, Technology on October 23, 2013 by AJClayton. Next Tuesday Apple are holding their annual iPad event in San Francisco. The iPad 5 will be unveiled (probably) as well as a likely revision to the iPad mini. However it’s other news from that event that is of most Interest to me. it’s now Autumn which any quick glance out of the window of late will confirm (although I have to confess that it’s been quite pleasant walking the dog during the day recently, even if it’s starting to get dark much earlier). Autumn is the time that Apple announced recently would be when the new Mac Pro is finally released into the wild. Unsurprisingly, the tech forums have been full of discussions about when Autumn starts and (perhaps more importantly) when it finishes. Let’s not get too wrapped up in all that, though. Suffice to say that Autumn is very much with us and even a worst case scenario means that the Mac Pro can only be a short wait away. A couple of weeks ago rumours started circulating that Apple would hold their iPad event on October 22 and last week it was confirmed by The Loop’s always reliable Jim Dalrymple. True to form, the actual invitations for the event were sent out last Tuesday, a week before. 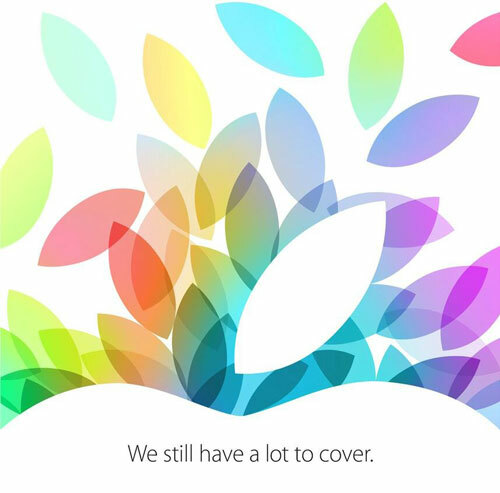 The invitation simply states “We still have a lot to cover” and contains colourful leaf shaped images that adopt the styling of part of the Apple logo (which itself is in the foreground). Apple often use slightly cryptic clues in their invitations so taking it at face value may be a mistake, however on this occasion it may very well be just that – they have a lot to talk about. Not only the aforementioned new iPads (which are a given) but also the imminent release of the new version of Mac OS X “Mavericks” and, of course, our desperately awaited new Mac Pro. There’s an outside chance that updated MacBook Pros could be announced, but the bet guesses are for iPads, Mavericks and the Mac Pro. Which suits me just fine. Another rumour this week, this time from a less reliable source, is pinning the release of the Mac Pro on 15 November. This may be true, as I could see the announcements on the 22 October leading to iPad availability some time within the following week (say by the 29th) with Mavericks out in early November and the Pro following after that. From a marketing perspective it makes sense to launch all these headline grabbing products on different days thereby increasing Apple’s chances of getting exposure on the web and in the press. Annoying for those of us waiting for one of the products that’s held back, but that’s just the way it is. On the positive side, there is FINALLY light at the end of the tunnel and for once in the world of the Pro Apple user it isn’t an express train sized dose of disappointment coming in the opposite direction. Bring it on! This entry was posted in Computing, Hardware, Software, Technology on October 17, 2013 by AJClayton. It wasn’t that long ago that when you wanted a new piece of software you went out and bought it took it home and installed it to use for many months or years. Some time down the line you may decide to upgrade it which would mean repeating the process. Times have changed and for Adobe that meant changing from a purchase-the-box-and-take-it-home model to a subscription model called the Creative Cloud. It launched in Spring 2012 and the idea is you pay them a monthly fee for the software and download it instead of paying a large up front cost and getting a physical DVD in a box. From Adobe’s point of view this makes a lot of sense. There are no large ticket prices to scare people (just a more reasonable looking monthly fee) and they can update their software whenever they want. No distribution to worry about so less infrastructure costs and, therefore, more overall profit. From the consumer’s point of view it also seems, on the face of it, a good proposition. You don’t have to fork out massive sums on a suite of software and then guard a physical DVD in case you ever need to re-install it. You also get any software updates immediately without having to wait for a new boxed version to come out. This all sounds fine from both sides. Until, that is, you start to work out how much it’s all really going to cost you. If you buy every update that Adobe releases then you may find that the subscription model works out about the same price. This assumes an upgrade cost of around £1,000 every year. The subscription is £46.87 per month making an annual cost of just over £560 per year. However most people don’t do that. They skip versions. I bought CS3 and then skipped CS4 going instead for CS5 when that came out. I didn’t bother with CS 5.5 either. By timing your upgrades correctly you could go from (for example) CS3 to CS4 with a free upgrade to CS5. The overall cost worked out at about £20 a month, give or take a few quid. In other words, in practice the monthly charge for the complete Creative Cloud is significantly more than a “real world” purchase of boxed CS software. I signed up straight away, lulled into a false sense of worth by the cut price first year cost of £27.34 for access to virtually every product Adobe makes. The novelty saw me trying out lots of their software and although I’d settled in to using just a small number by the time my annual renewal came up I didn’t really pay that much attention to it. Until, that is, I realised I was now paying £46.87 a month. I thought I’d missed the boat and would have to pay this huge fee until May 2014 when my first full price year of Creative Cloud membership ends. It made me sick in the wallet department, especially as I’d stopped using most of the Creative Suite because the tools either didn’t work for me or I’d found better alternatives (and crucially, these alternatives aren’t based around a subscription model). I’ve dumped Dreamweaver for Coda 2. I wasn’t getting on with Adobe Premiere very well so have gone back to Final Cut Express 4 with a view to buying Final Cut X when I get my new Mac Pro (FCX won’t run on my current Pro). It’s only Photoshop that I find I use every day, with InDesign and Acrobat relegated to occasional projects and, to be frank, InDesign CS 5 and Acrobat X both of which I have licences for “boxed” versions that will do all I want them to just fine thank you very much. In early October 2013, Adobe announced that they had been subjected to a sophisticated hack and they emailed affected customers of which I was one. My debit card details have been compromised, although Adobe maintain that all card details were encrypted. It doesn’t make me feel too comfortable, really, and already being a bit miffed at paying nearly 50 quid a month for mainly just using Photoshop, I’d had about enough. In the small print, Adobe say that they charge 50% of your remaining contract with them if you cancel before your year is up. I already knew that, and when I contacted them that’s what they told me. When I pointed out to them that they lost my debit card details they agreed to let me cancel without paying the fee saving me £165. Well, it’s saving more than that because I would’ve paid Adobe well over £300 for the remainder of my year and then £46.88 per month for ever after that. What about when you retire? Do you need to take money out of your pension to continue to pay Adobe for software that isn’t earning you money any more? I feel that the subscription model, while it has some merits and will work for some people, isn’t perhaps the best thing for most small businesses and one-man-bands. If you use lots of their products you may be able to justify it, however if you’re like me and find yourself using a small number of Adobe apps then it may not be worth while. For now, I’ll go back to CS 5 as I can use that for free having paid for it already. It’s possible that I’ll take out a subscription for Photoshop CC at £17.58 per month although having just whinged about the subscription model I’ll go back to Photoshop CS 5 and see how I get on. I hardly ever need to use the most recent additions to Photoshop and although I may miss some of the tweaks that found their way into the more recent version I’ll see how I get on. I can certainly survive with the earlier versions of InDesign and Acrobat and although I have licences for them I probably won’t even re-install Illustrator or Flash. I very much hope Adobe re-think things going forward as there are many of us less than happy with our recent experiences with the company. It’s a shame, because Photoshop is great and deserves to be available in a form that makes sense to people’s wallets. This entry was posted in Computing, Software, Technology on October 5, 2013 by AJClayton. Apple has just seeded another preview of OS X Mavericks. This has no number so is either Developer Preview 9 or has finally reached Golden Master (GM) stage. The best guesses at the moment are for a launch of Apple’s new desktop OS sometime in the middle of this month. The only reason I post this is because it’s possible that Apple could announce the availability of the new Mac Pro when the date for Mavericks is revealed. It can’t come soon enough as far as I’m concerned. Will write more next time as I still intend to talk about my recent network changes in case that’s of any interest to anyone (unlikely, but you never know). This entry was posted in Computing, Software, Technology on October 3, 2013 by AJClayton.